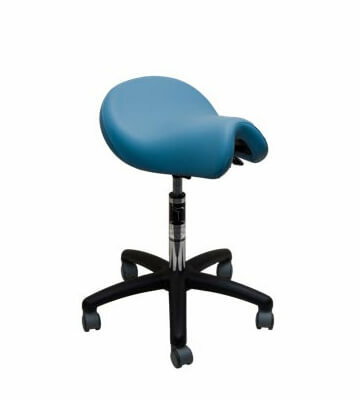 Features a longer, flatter pommel with a wider seat base to accommodate. 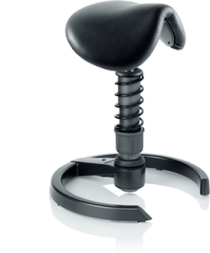 The LARGE Bambach Saddle Seat is the latest addition to our range and features a longer, flatter pommel with a wider seat base to accommodate the male anatomy. The introduction of the large seat was as a result of feedback from our male customers. Whilst predominately used by men, it is also recommended for larger famed women. However this is a guide only. 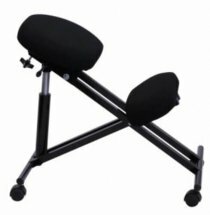 The back rest on the Large seat is optional being used purely as a “rest” and adjusts for height and angle. 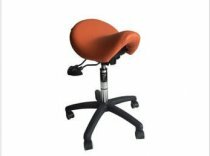 The large Bambach Saddle Seat with backrest is ideal for office seating or when seated for longer periods of time. 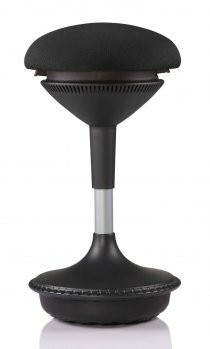 As each seat is individually made, the large seat can be fitted with any of our differing Gas Stem Heights and/or Castor Types depending on your desk height and the flooring type your seat will be used on.